Hello there, and welcome back to the Benjamin Brothers blog! In today’s post, we are going to continue where we left off last time and list out a few more reasons that taking the time to have your home’s HVAC system maintained on a regular basis is, overall, better for you, your home, and your system. If you haven’t read our previous post, we suggest you do so now so that we are all on the same page. Once you’re all caught up, continue reading below to learn more about why proper HVAC maintenance is a must. Improve System Longevity: For the most part, we assume that people don’t want to have to replace their HVAC unit any more than they absolutely have to. These systems, no matter how you look at it, are expensive and it is in the best interest of the homeowner to try and make sure that the system lasts for as long as possible. Scheduling routine maintenance checks for your home’s HVAC system is a great way to stretch the lifespan of the system because it is more likely that any major problems will be found before they have a chance to manifest. Taking some time to protect your investment can go a long way in saving money down the road. Efficiency: A well maintained HVAC system will run more efficiently. Not only does this help to reduce the amount of money that you have to spend on energy bills each month, it also ensures that your system is not working harder than it has to. Some studies show that an unmaintained HVAC unit has to work about 20 percent harder than a unit that has received regular maintenance. With a properly serviced unit, less electricity will be needed when it is running, meaning that less stress is placed on the components of the machine. 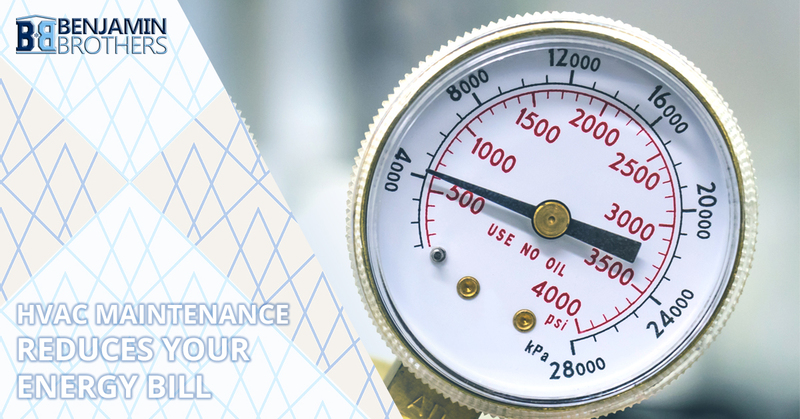 Warranty Concerns: The final reason that we feel it is important to schedule HVAC maintenance appointments is the fact that many of these systems have a warranty that covers most of the system’s components. If you have a three-year warranty on the components of your system but you don’t have the system checked in those three years, you are essentially wasting money in the event that a component needs to be replaced once the system is out of warranty. We advise that you make a list of the warranty expiration dates for all of the components of your HVAC system and make sure to schedule a maintenance appointment before those dates are reached. If you can catch a component that is about to break before the warranty runs out, you can save some serious money on the repair costs. If you would like to learn more about HVAC maintenance or you would like to schedule an appointment with one of our technicians, please give us a call today at Benjamin Brothers. We have been serving Pasco County residents for years and we have the knowledge, tools, and experience needed to get the job done right the first time.